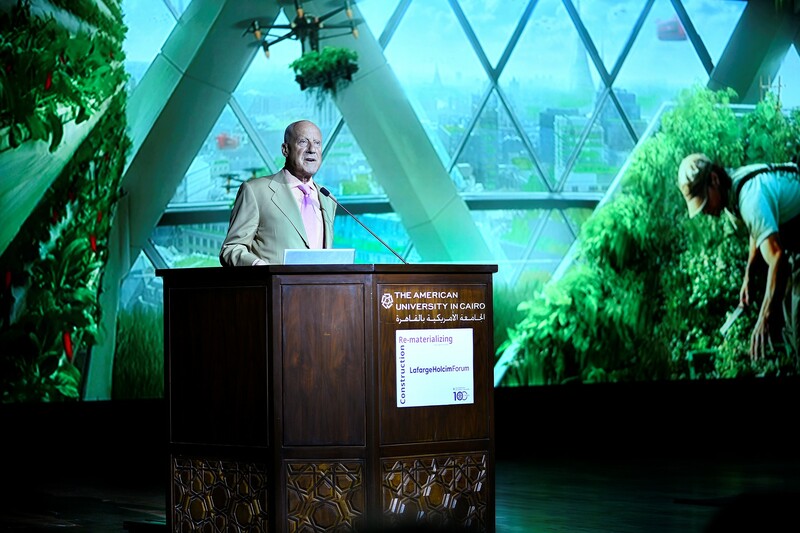 “Sustainability is inseparable from energy, and inseparable from the process of recycling.” – Lord Norman Foster, Chairman & Founder, Foster + Partners, United Kingdom at the 6th International LafargeHolcim Forum held in Cairo, 2019. 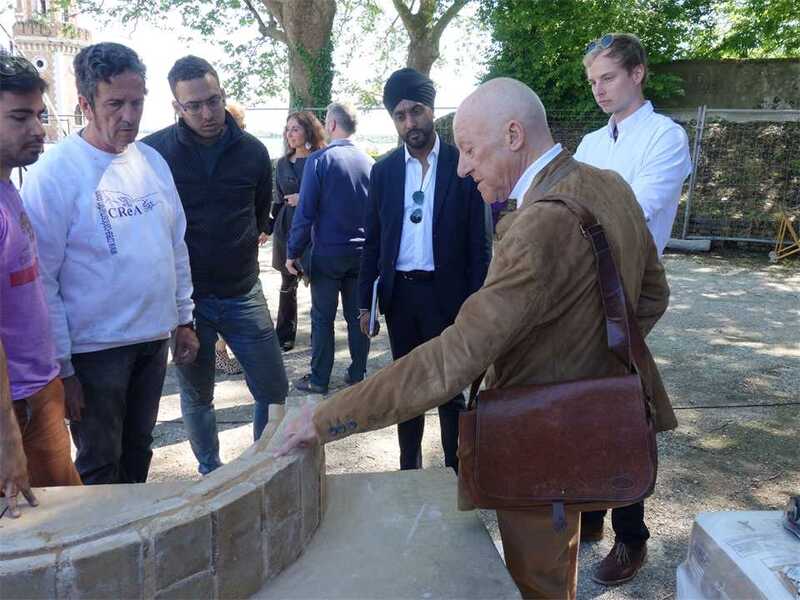 In the context of the opening of the 15th International Architecture Biennal, Archizoom organized an event where Lord Norman Foster (left) and Jonathan Ledgard informed the public on the development of the Droneport project. 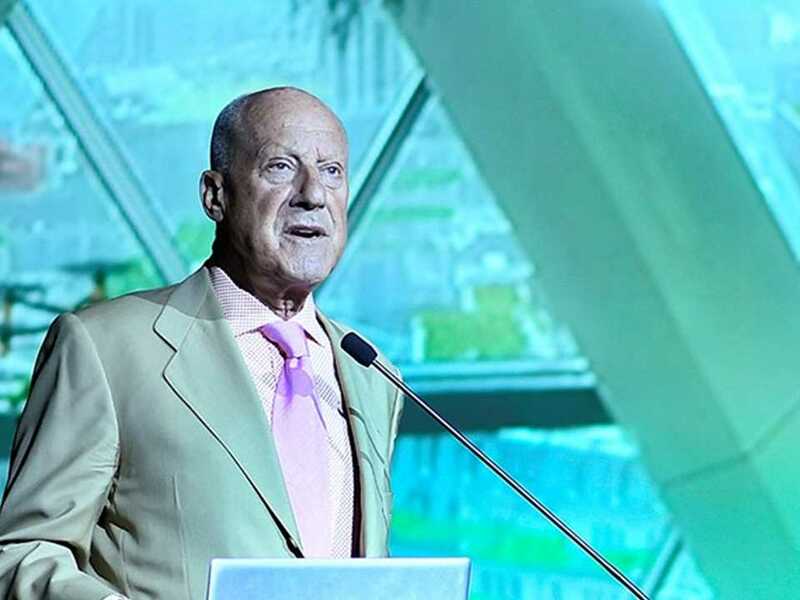 Norman Foster, Chairman and Founder, Foster + Partners based in London, United Kingdom. 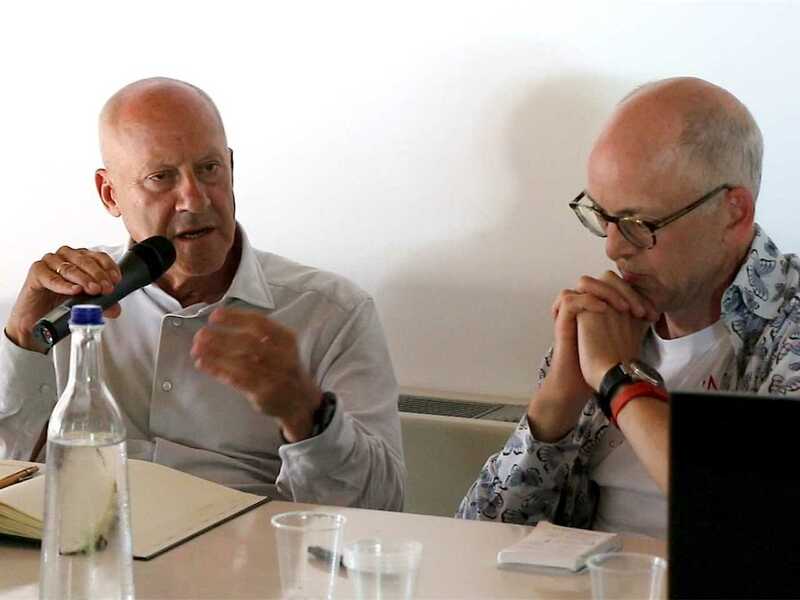 Image courtesy: Foster + Partners. 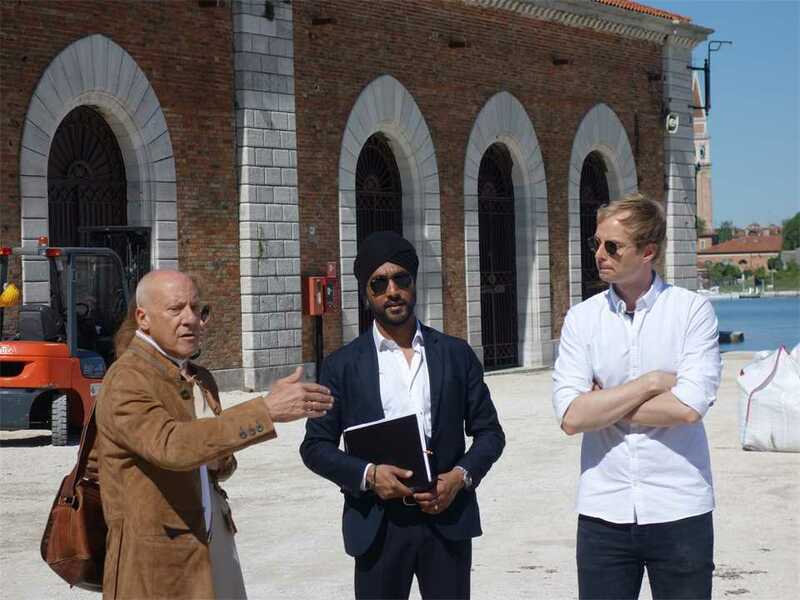 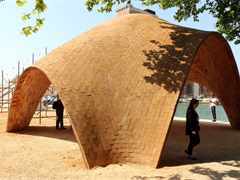 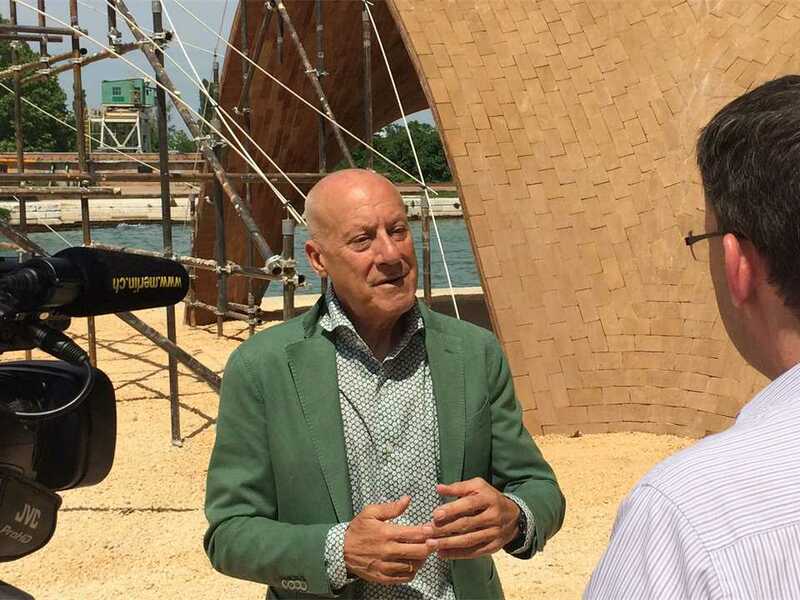 Lord Norman Foster (left) examines final construction of the Droneport prototype at the 15th Architecture Biennale in Venice. 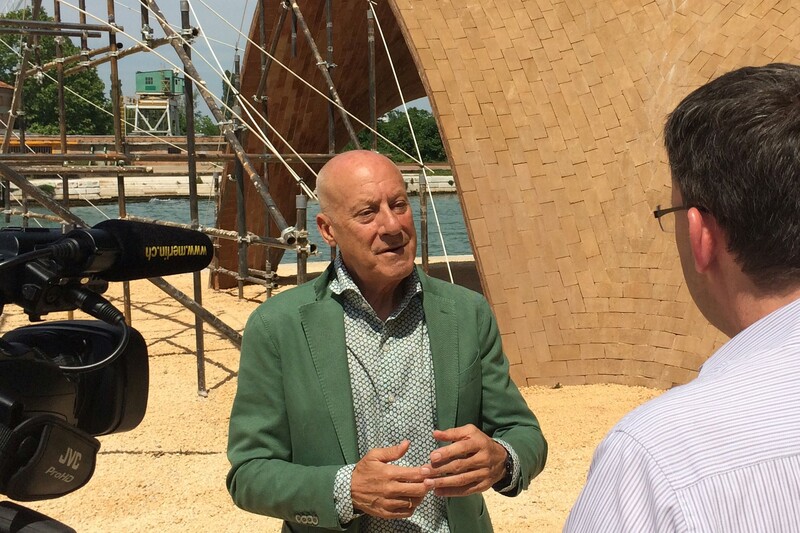 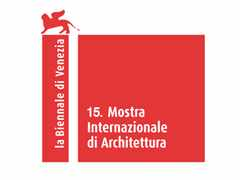 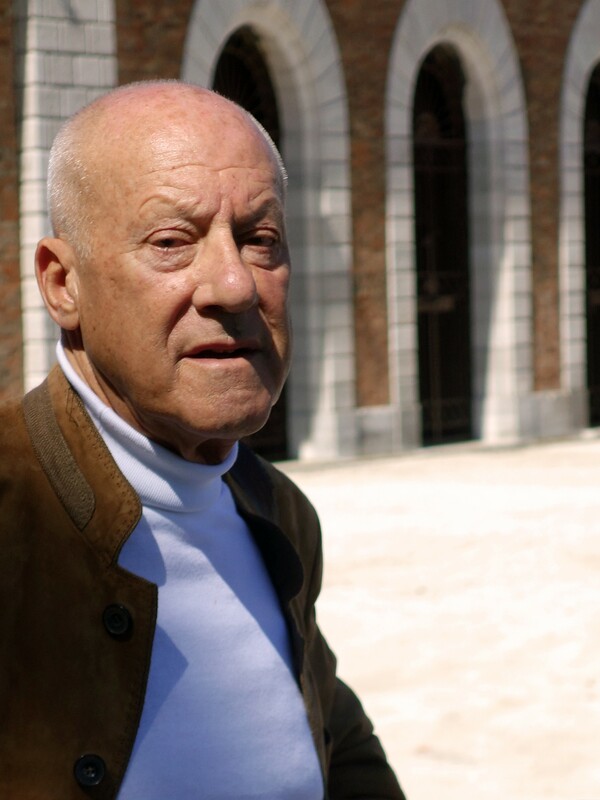 Lord Norman Foster at the 15th Architecture Biennale in Venice. 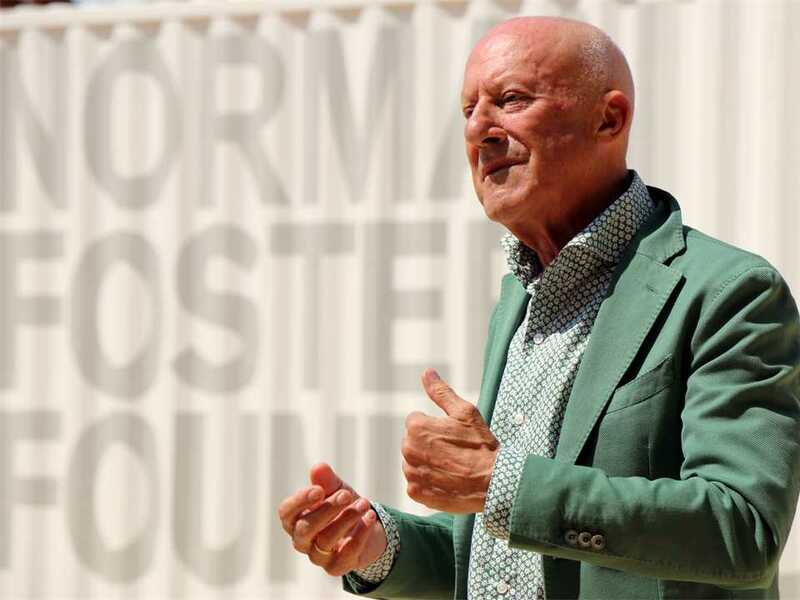 Norman Foster is Chairman and Founder of Foster + Partners, based in London, United Kingdom. 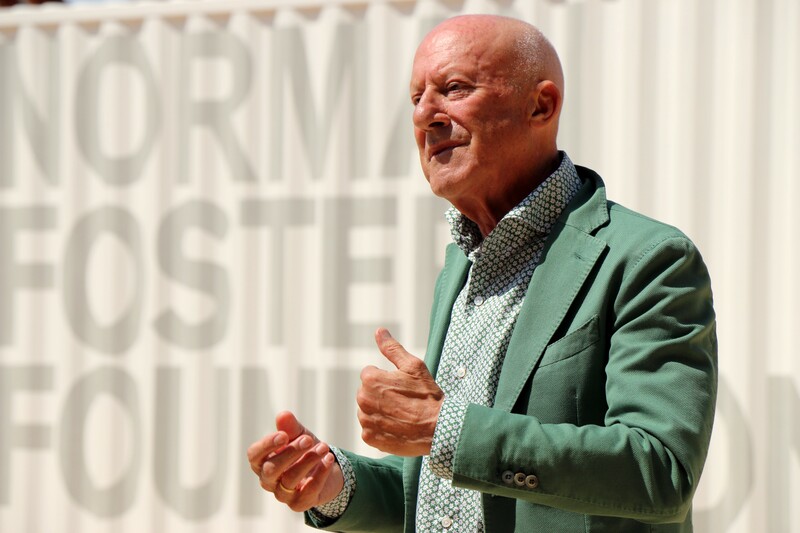 Foster + Partners has an international reputation and has, over the past four decades, pioneered a sustainable approach to architecture through a strikingly wide range of work, from urban masterplans, public infrastructure, airports, civic and cultural buildings, offices and workplaces to private houses and product design. 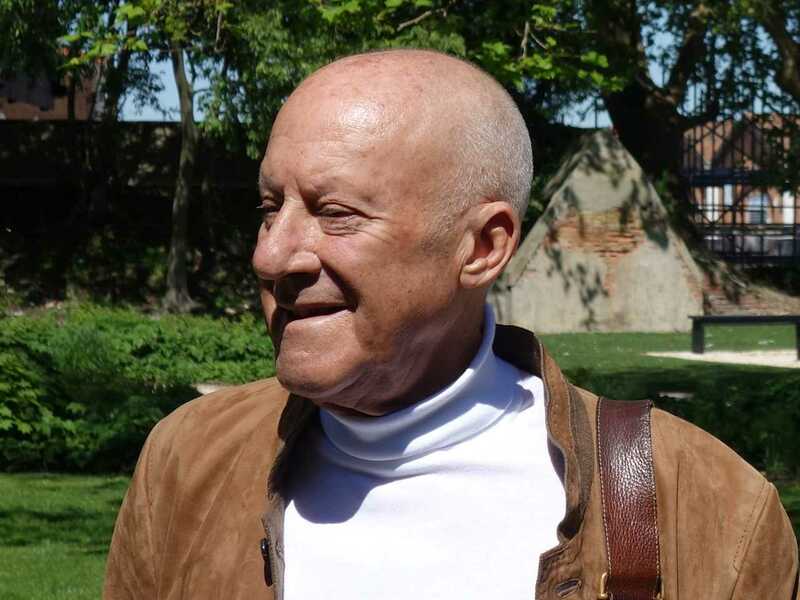 Norman Foster graduated from Manchester University School of Architecture & City Planning in 1961, and won a Henry Fellowship to Yale University, where he was a fellow of Jonathan Edwards College and gained a Master’s Degree in Architecture. 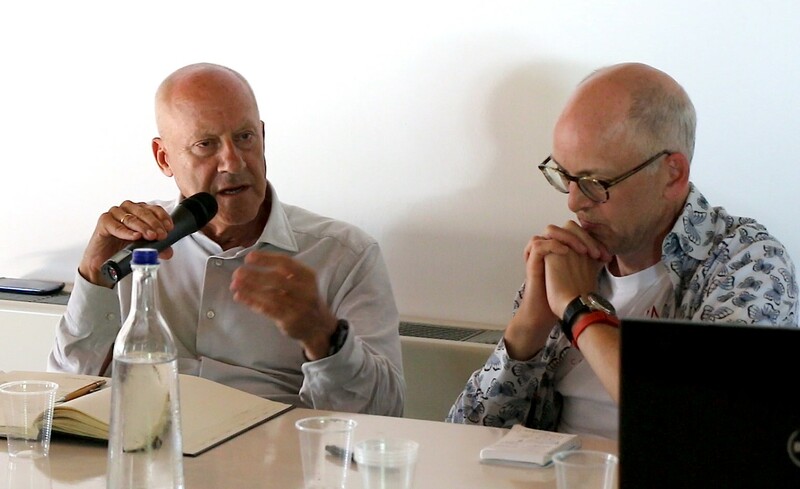 In 1963 he co-founded Team 4 and in 1967 he established Foster Associates, now known as Foster + Partners. 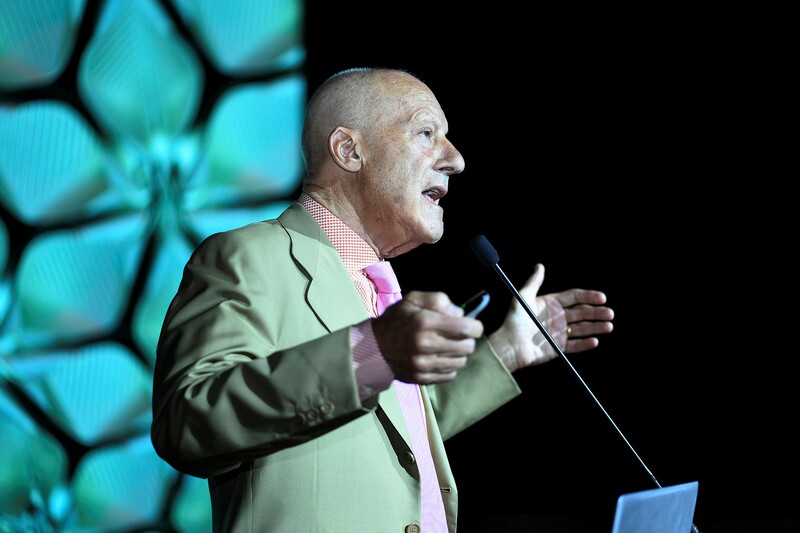 The firm’s projects include the New German Parliament in the Reichstag in Berlin; Chek Lap Kok International Airport and the Hongkong and Shanghai Bank in Hong Kong; Commerzbank Headquarters in Frankfurt; The Gherkin; London City Hall, Millennium bridge, and Thames Hub masterplan in London; Willis Faber & Dumas Head Office in Ipswich; Apple Campus 2 in Cupertino, California; and the Sainsbury Centre for Visual Arts in Norwich. 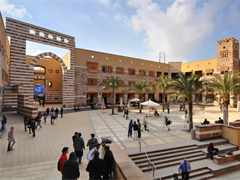 Since its inception, the practice has received more than 500 awards and citations for excellence and has won numerous international and national competitions. 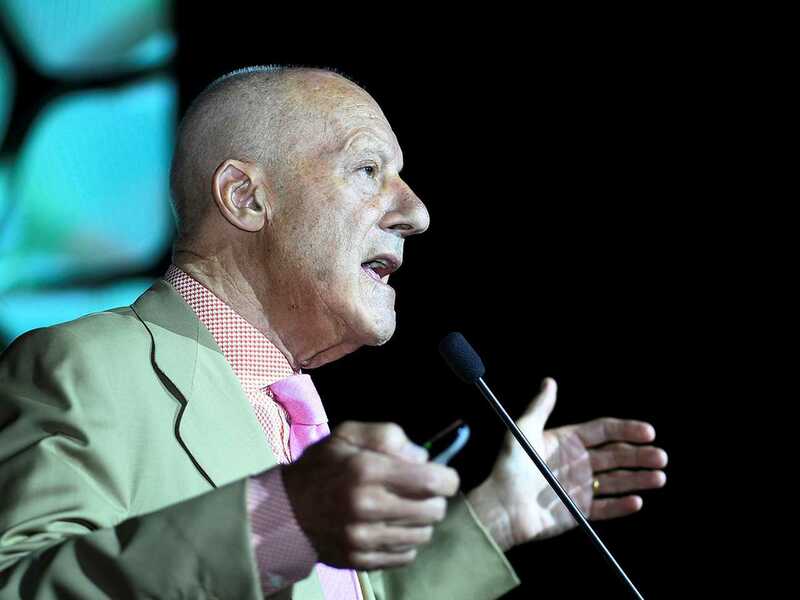 Norman Foster was awarded the Royal Gold Medal for Architecture in 1983, the Gold Medal for the French Academy of Architecture in 1991 and the American Institute of Architects Gold Medal in 1994, and was also appointed Officer of the Order of Arts and Letters by the Ministry of Culture in France. 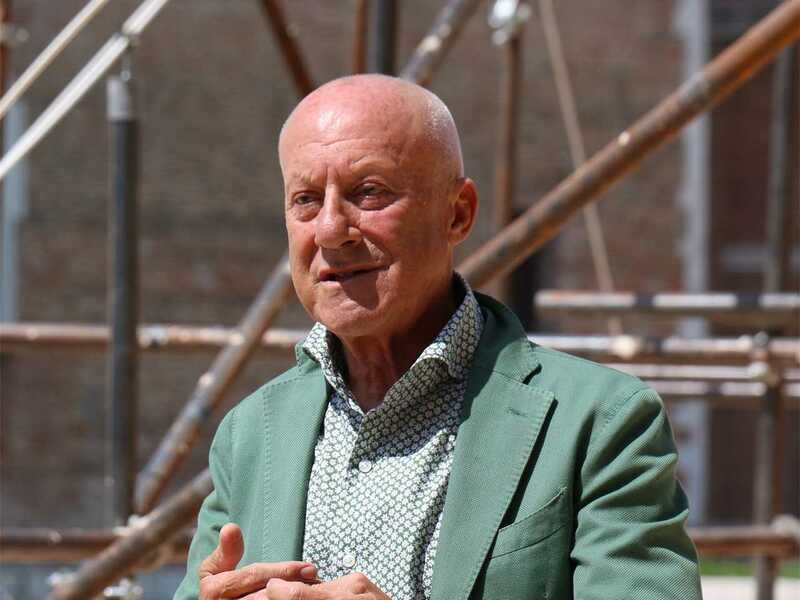 In 1999 he became the twenty-first Pritzker Architecture Prize Laureate; and in 2002 he was elected to the German Orden Pour le Mérite für Wissenschaften und Künste and in Tokyo was awarded the Praemium Imperiale. 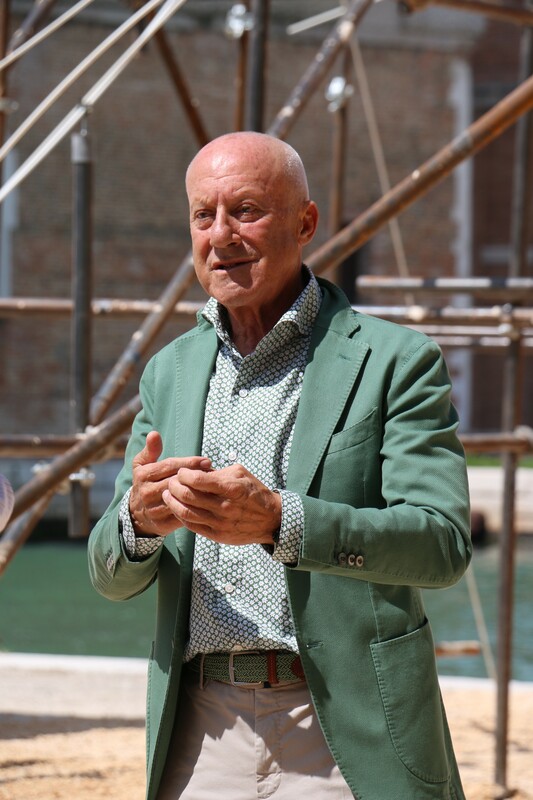 He was granted a Knighthood in the Queen’s Birthday Honours List, 1990, and appointed by the Queen to the Order of Merit in 1997. 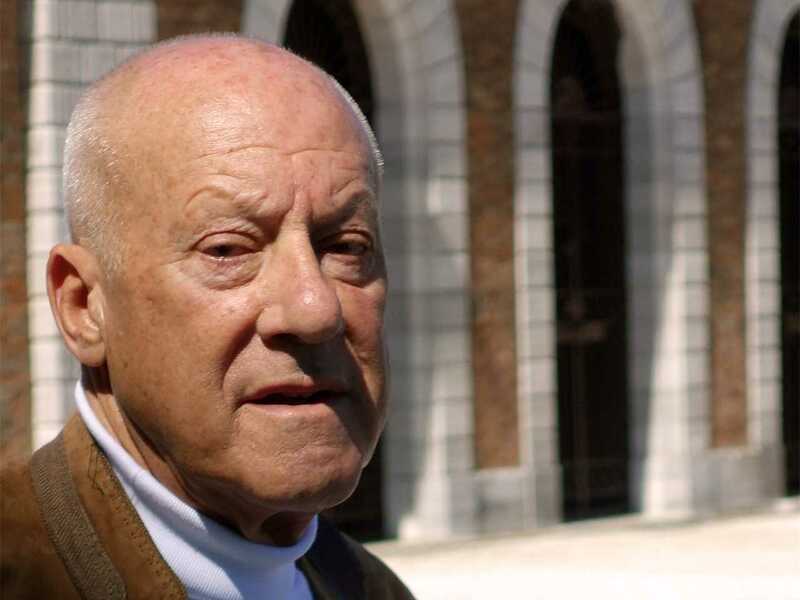 In 1999 he was honoured with a life peerage in the Queen’s Birthday Honours List, taking the title Lord Foster of Thames Bank. 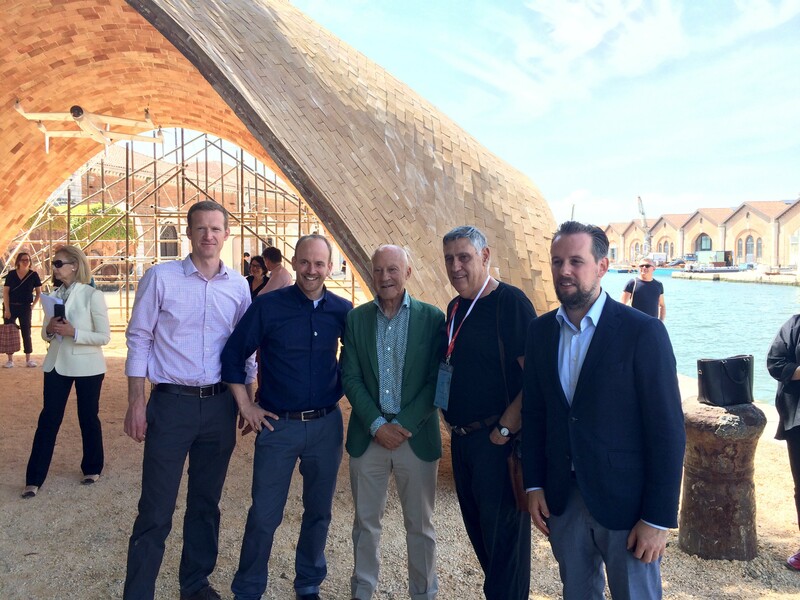 He leads the “Droneport” project, a collaboration between Redline partners led by Afrotech, École Polytechnique Fédérale de Lausanne (EPFL); the Norman Foster Foundation; and Foster + Partners. 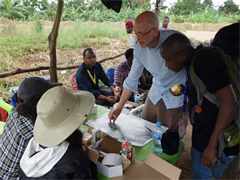 Norman Foster was a speaker at the 6th International LafargeHolcim Forum for Sustainable Construction held in Cairo, Egypt in April 2019.